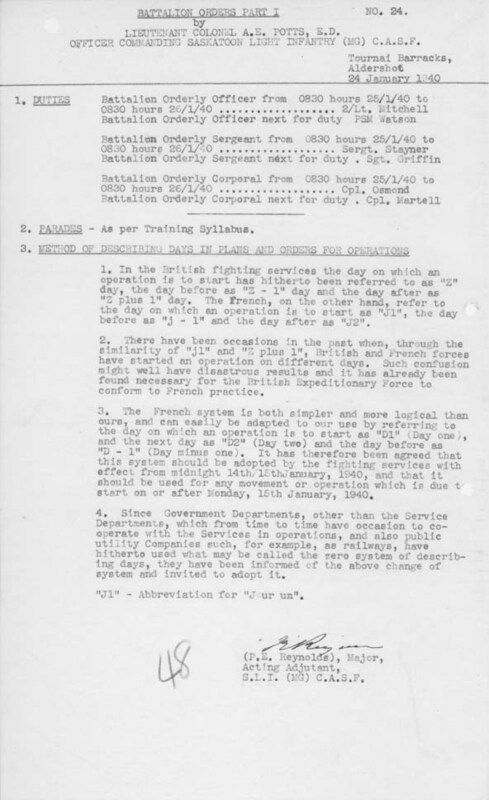 January 24, 1940 - origins of "D-Day"? 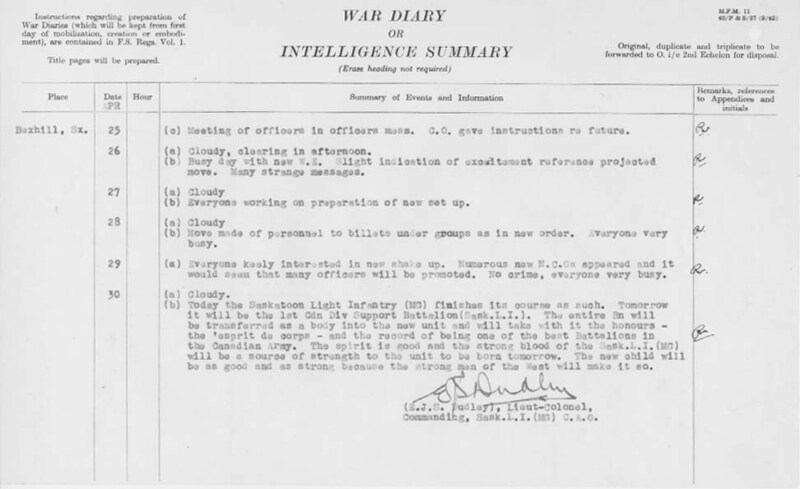 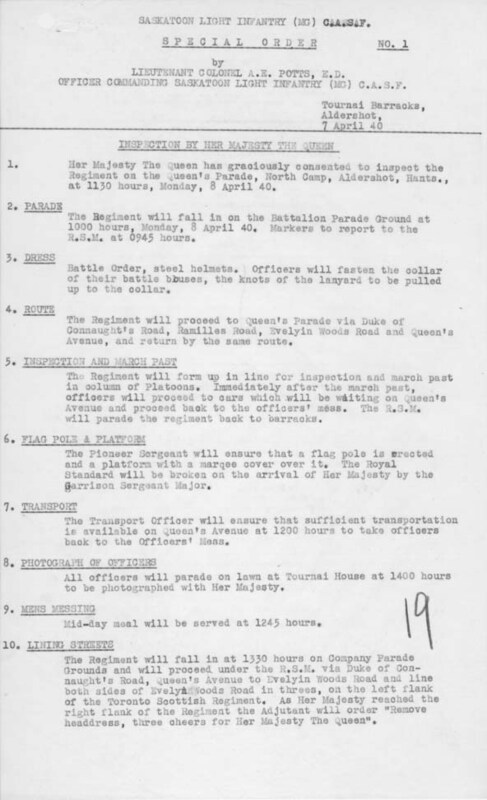 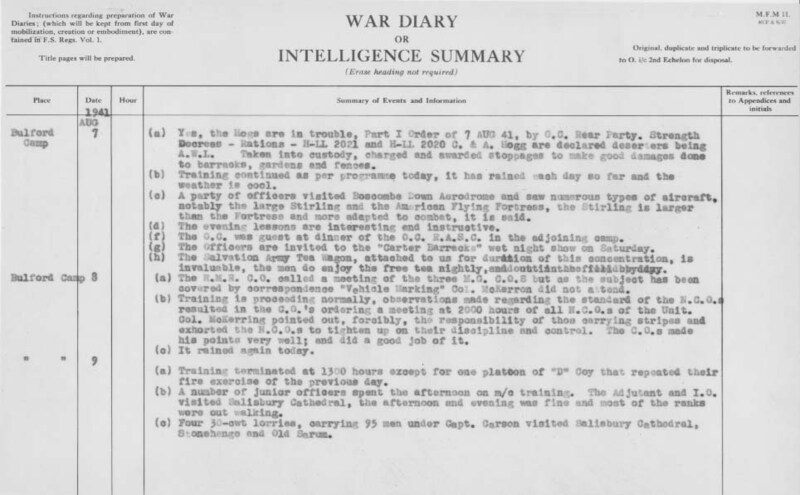 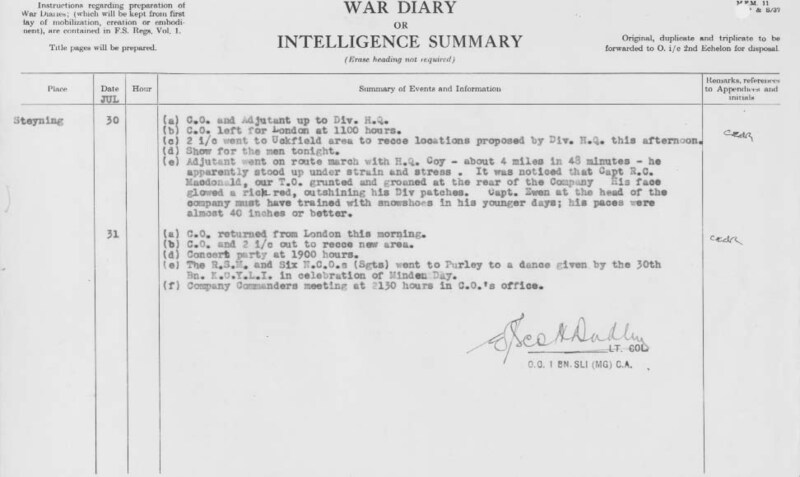 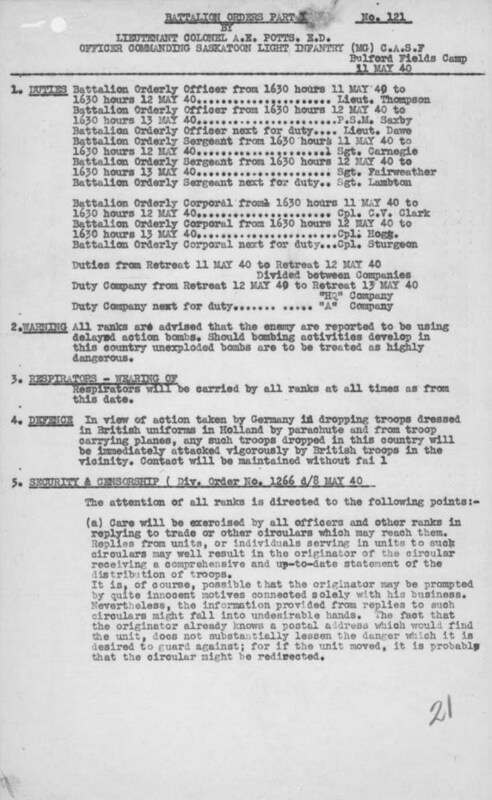 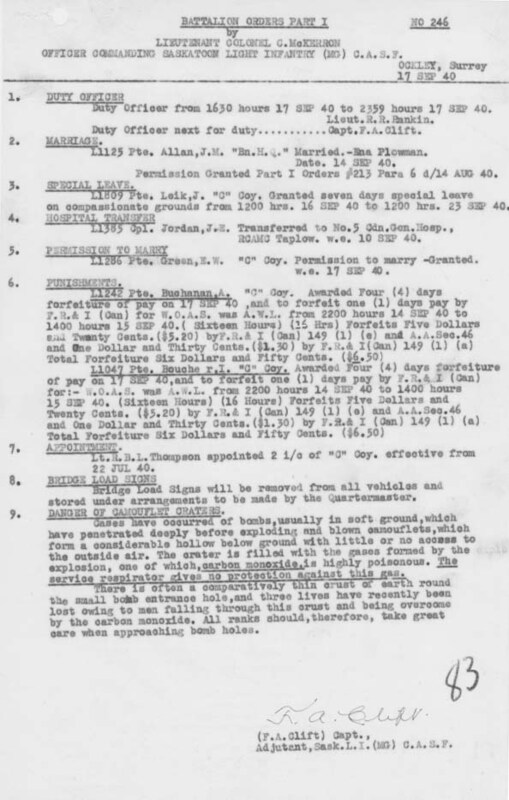 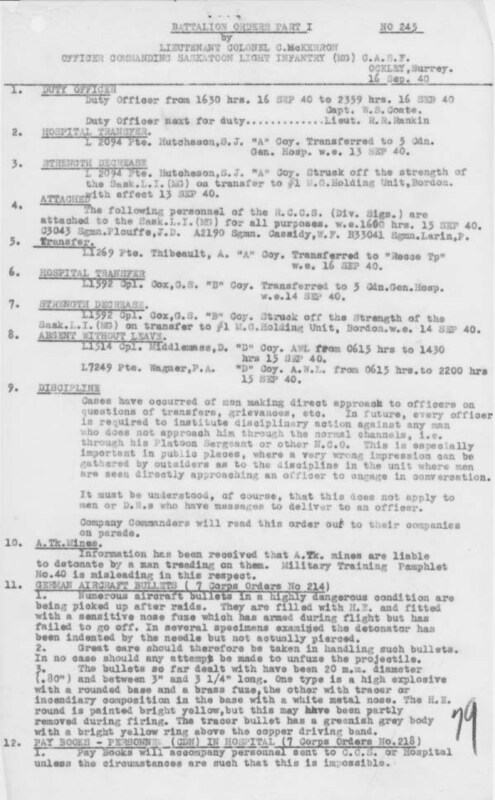 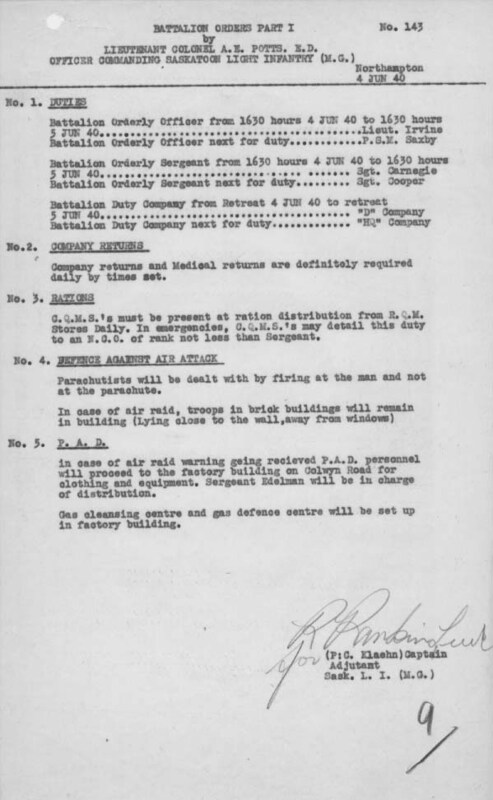 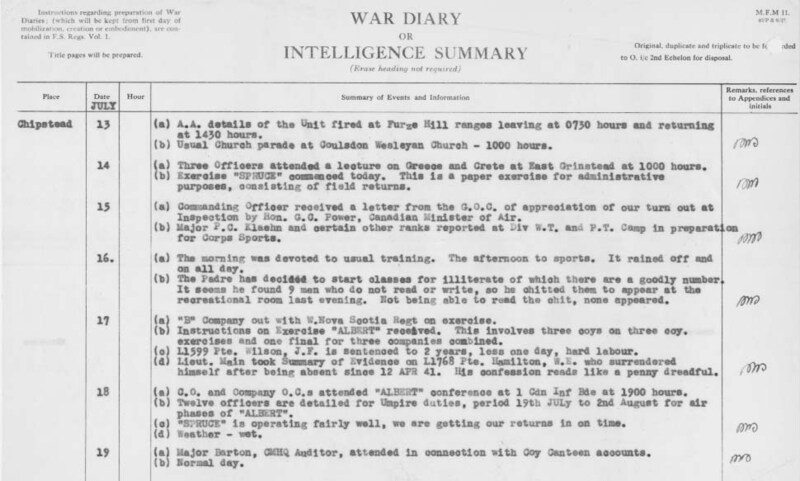 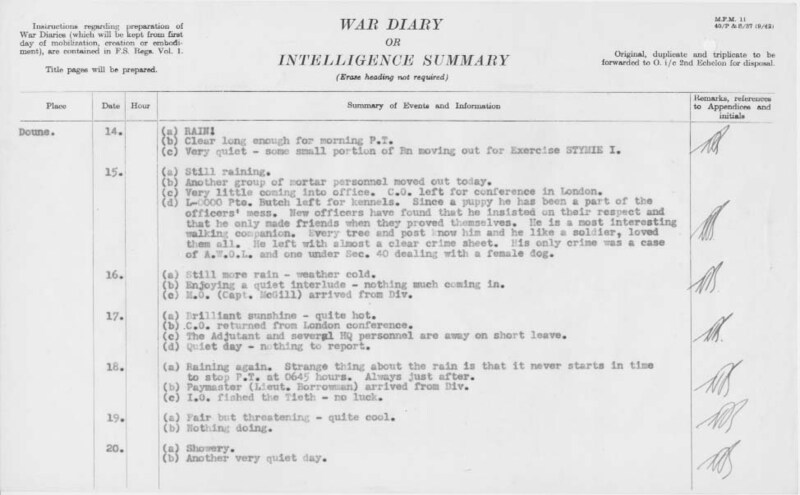 : "Method of describing days in plans and orders for operations"
May 11, 1940 - Warning about delayed action bombs, and reminders about security concerns relating to outgoing mail. 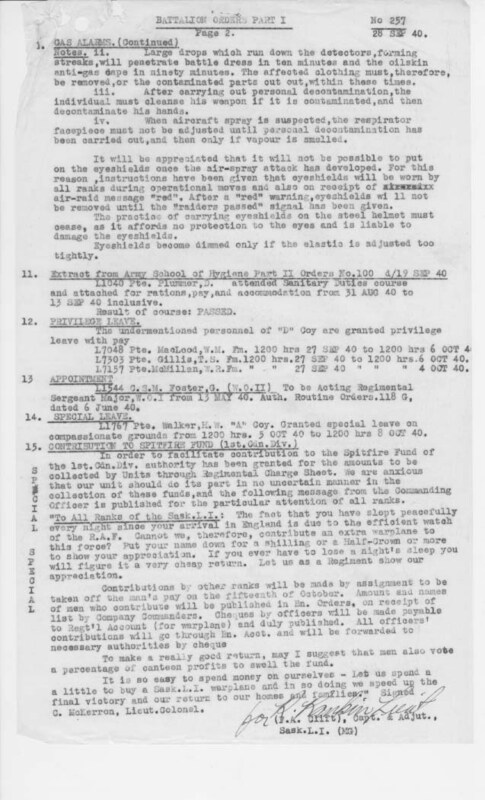 April 2, 1941 - Announcement of Churchill essay contest, with topics ranging from "The internal combustion engine: its effect upon mankind" to "Britain's Larder"
April 7, 1941 - "While it is not wished to discourage the use of soap ..."
May 22, 1941 - Orders re treatment of prisoners of war. 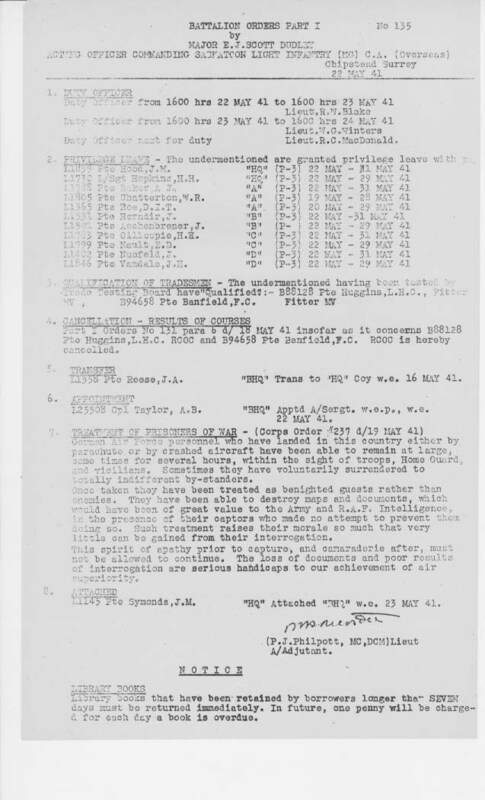 "Once taken they have been treated as benighted guests rather than enemies..."
May 25, 1941 - Re 1st Canadian Division Spitfire, a squadron "which already has a bag of over 100 German planes"
July 16, 1941 - Illiteracy and the well-meaning Padre. 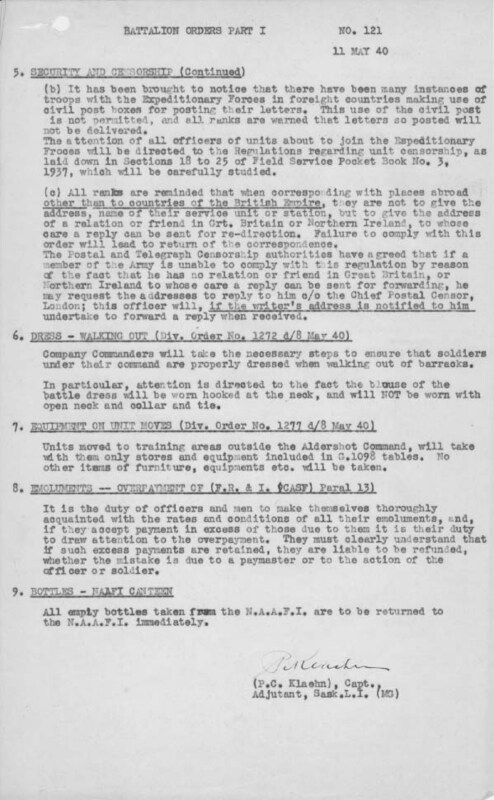 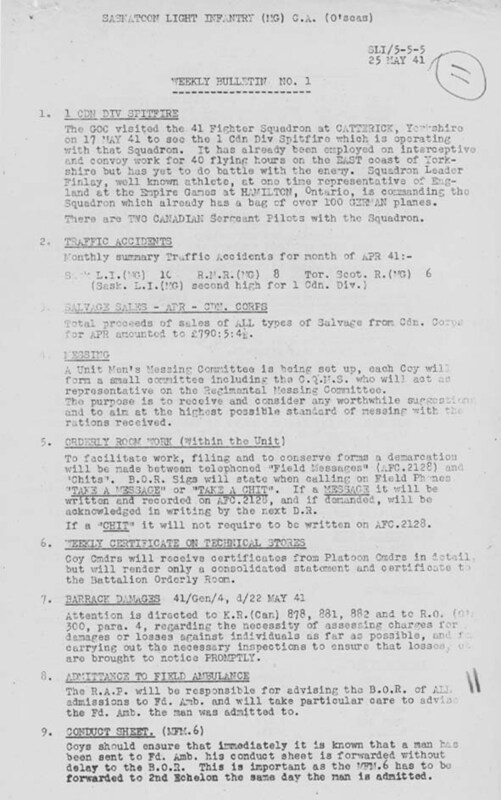 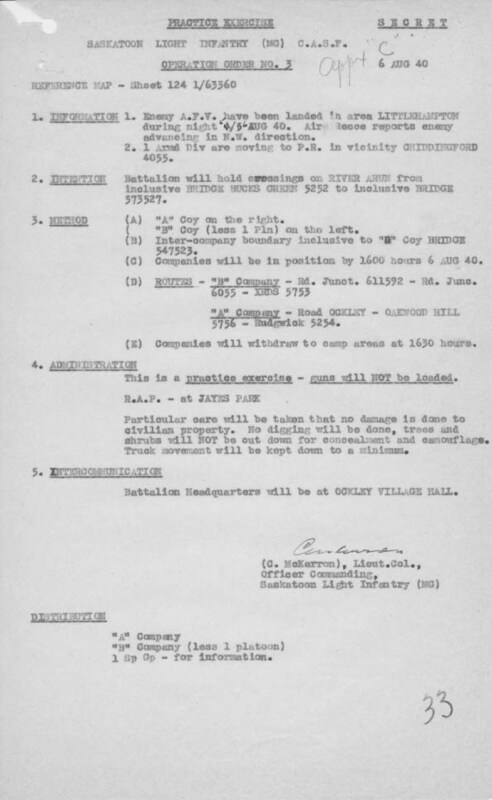 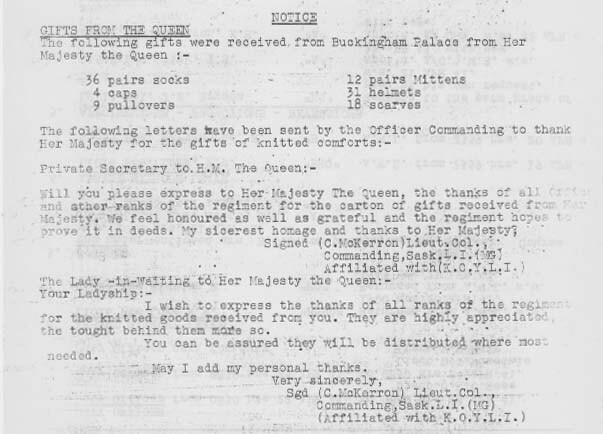 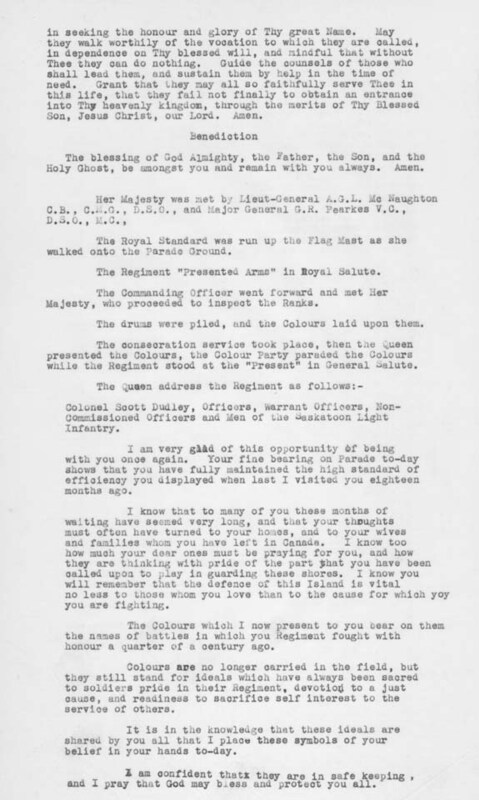 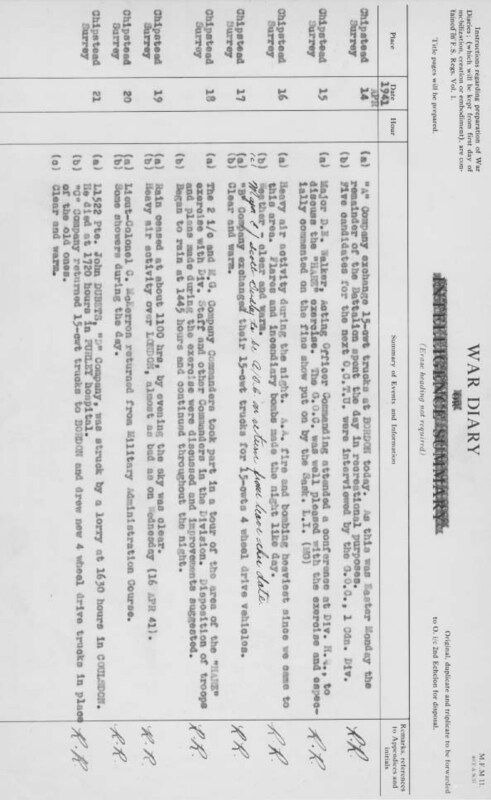 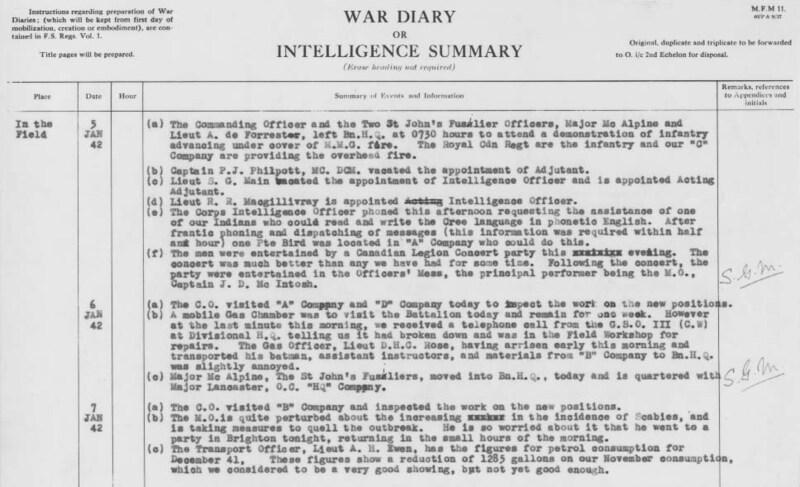 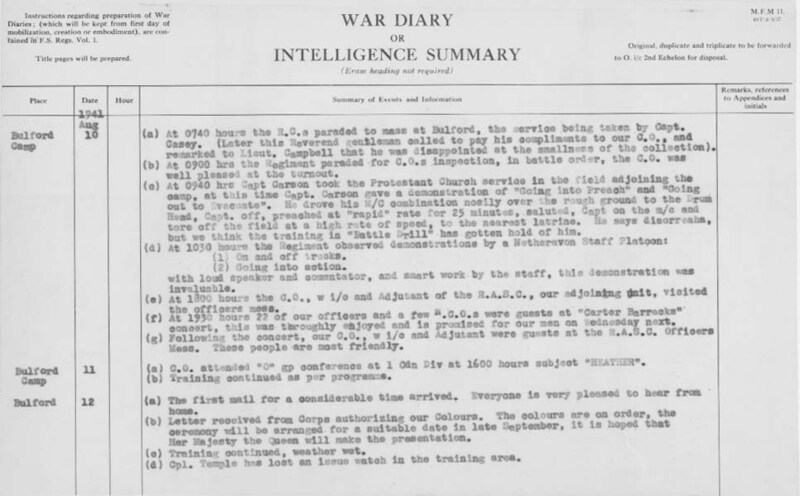 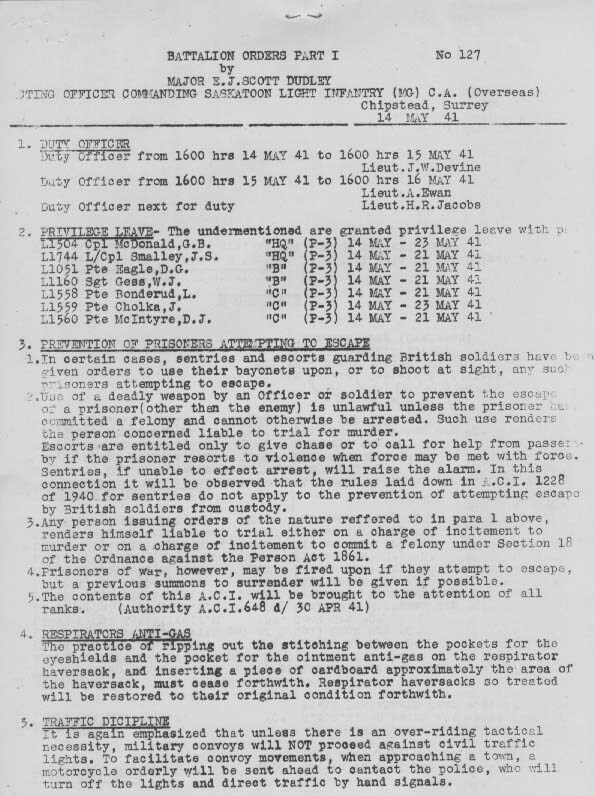 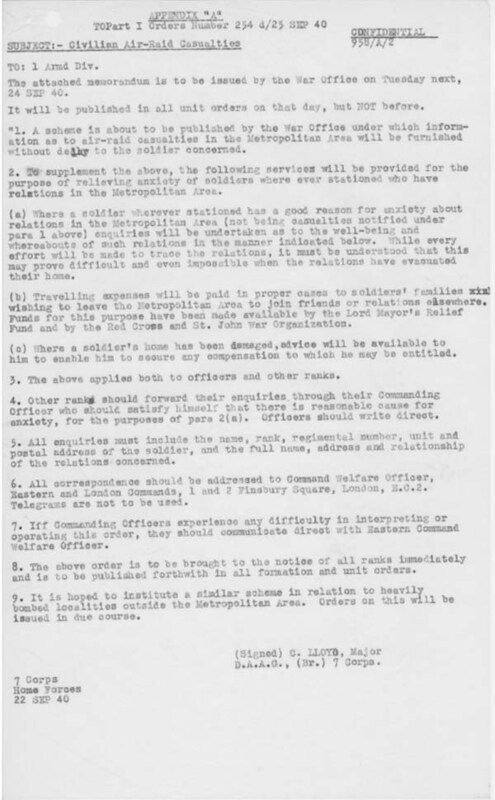 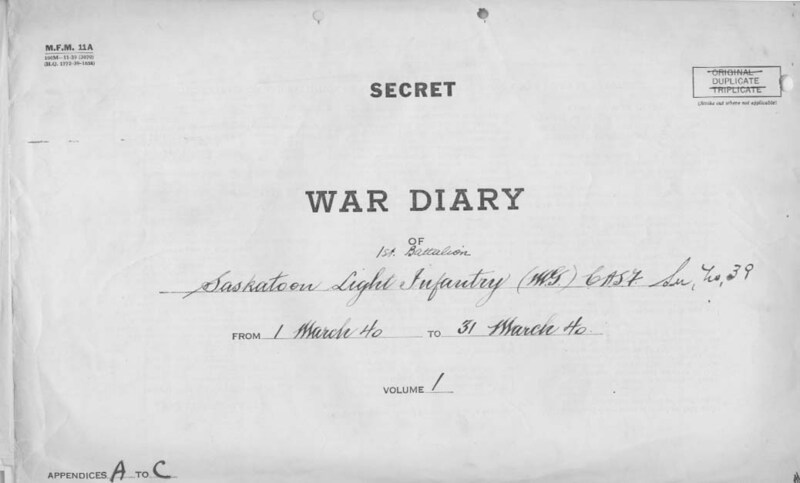 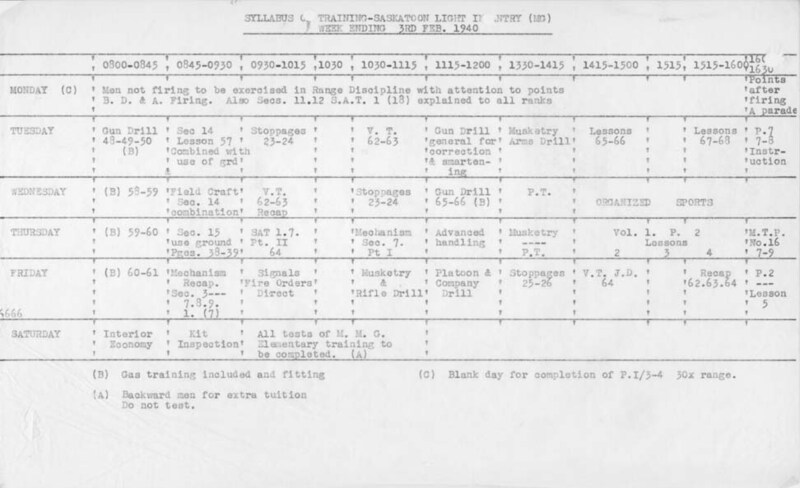 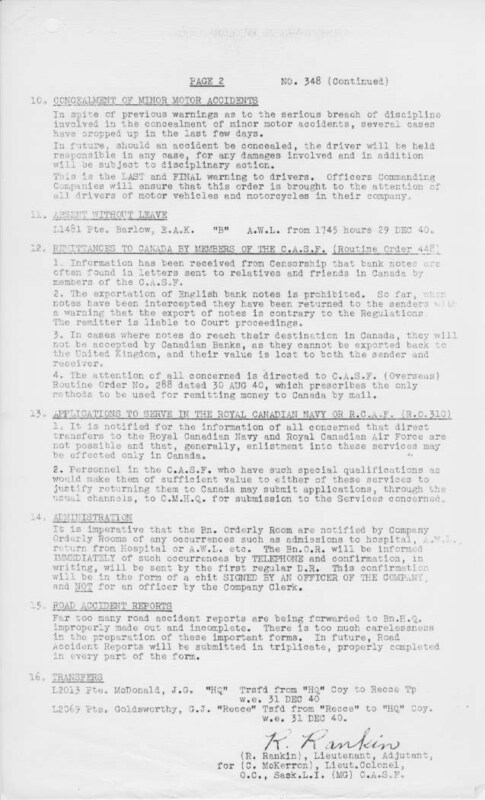 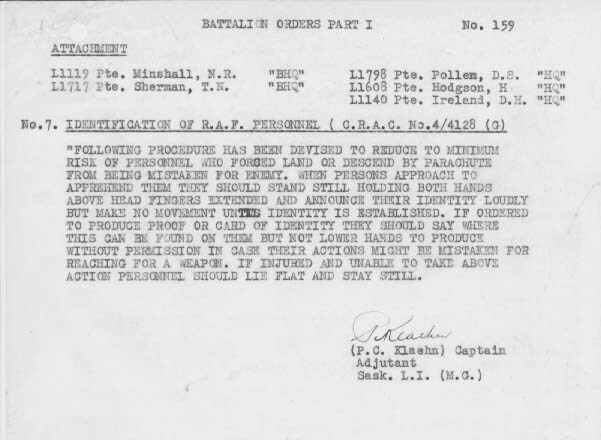 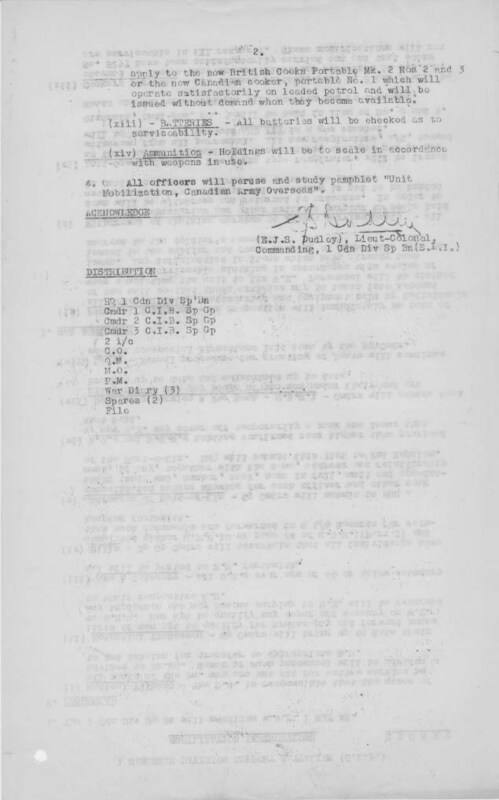 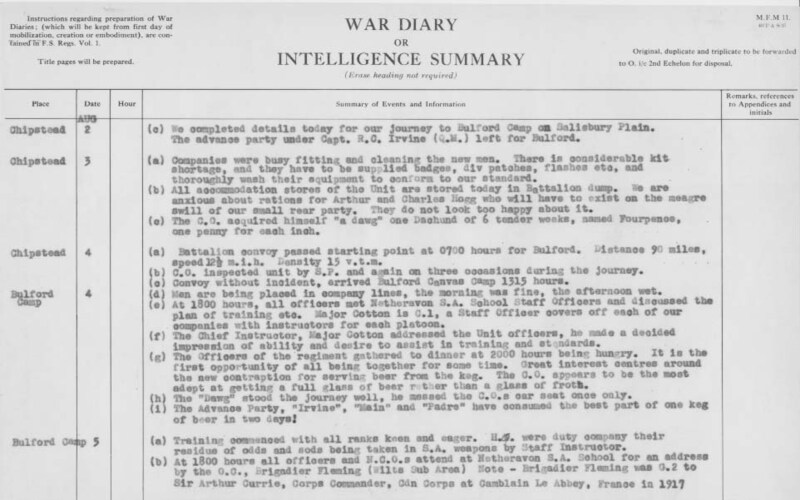 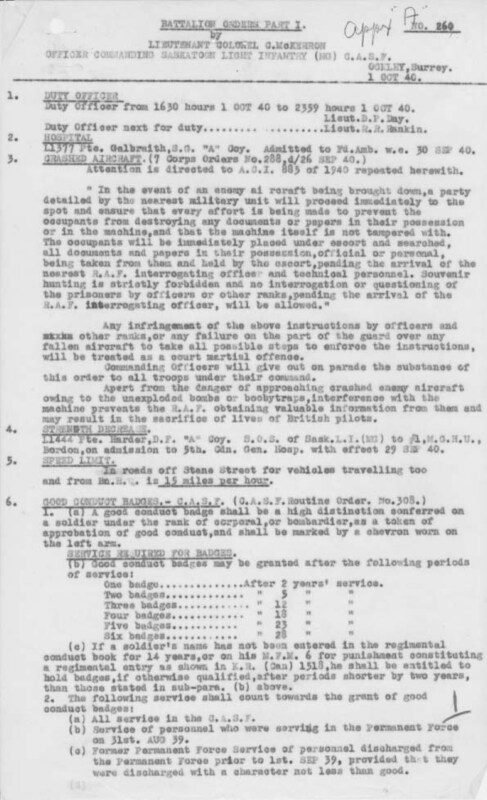 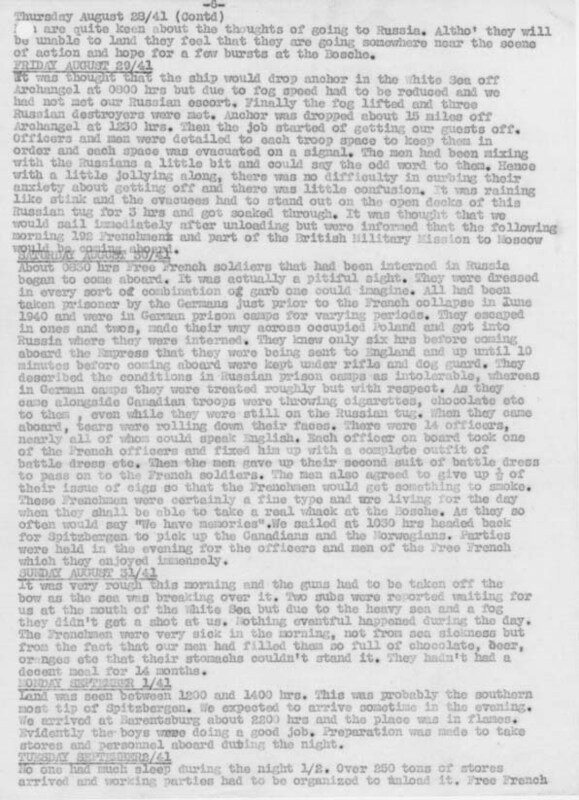 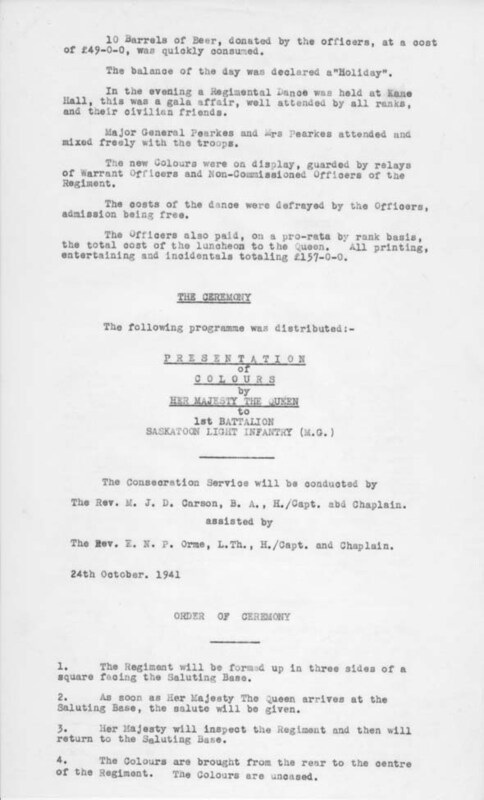 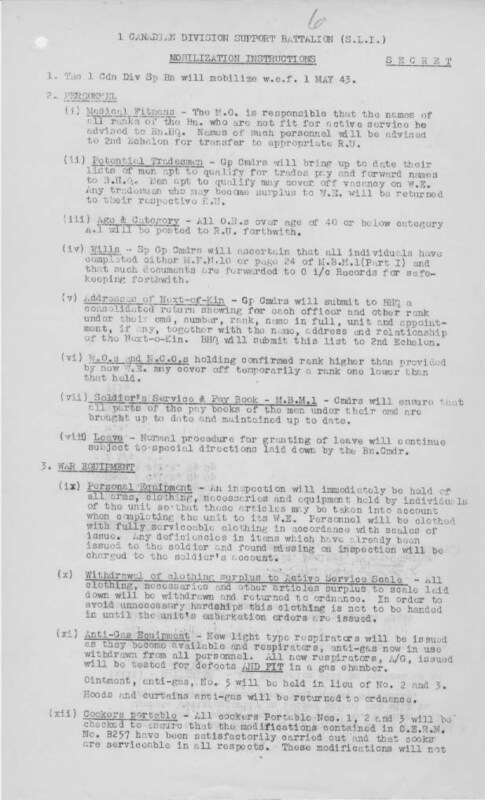 January 5, 1942 - Intelligence Officer looking for assistance "of one of our Indians who could read and write the Cree language in phonetic English"
May 1943 - Mobilization instructions - "The 1st Cdn Div Sp Bn will mobilize w.e.f. 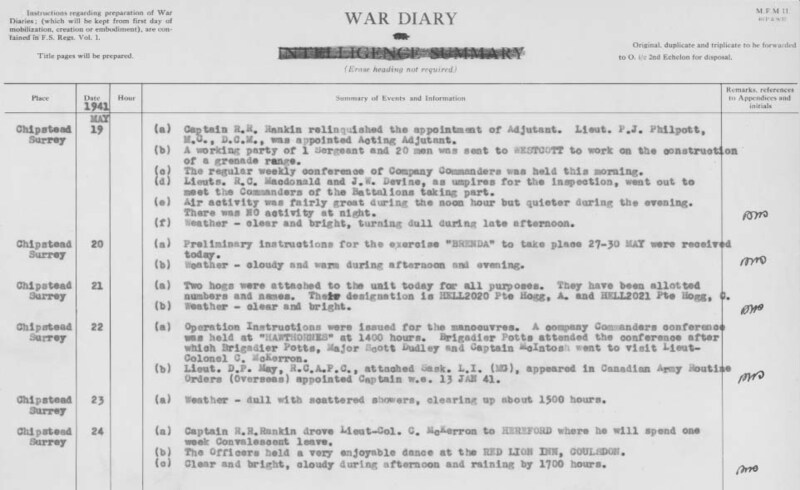 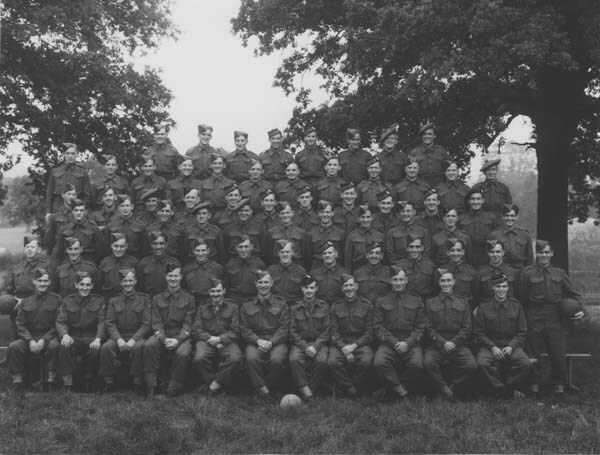 1 MAY 43"